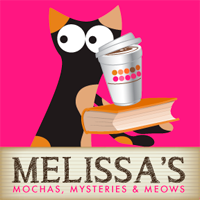 Melissa's Mochas, Mysteries and Meows: #CuriousCat Confession: I've Tasted Cat Food, Have You? #CuriousCat Confession: I've Tasted Cat Food, Have You? 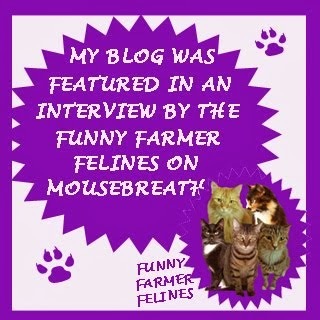 I have written this post on behalf of BlogPaws Pet Blogger Network for Royal Canin. I am being compensated for helping spread the word about Royal Canin, but Mochas, Mysteries and More only shares information we feel is relevant to our readers. Royal Canin recently released the results of a national survey of cat owners to dispel myths and better understand the relationship between felines and their owners. 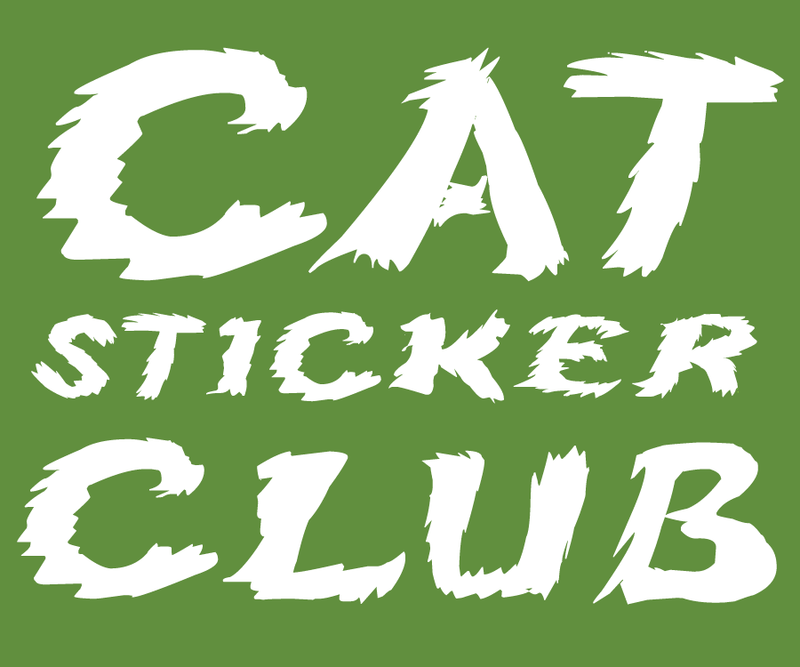 Pet cats now outnumber dogs by 12 million in the United States, but it appears that in spite of all that kitty love cat parents are unfortunately lacking consideration of their cat's health. 49% did no research prior to bringing a new feline into their family, and only 50% say that they think about their pet's health everyday. 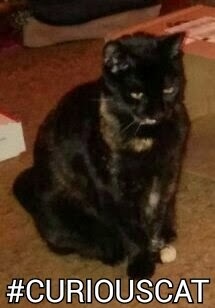 I'm a vigilant worrywart...I'm part of the 50% that DOES think about my cat's health everyday. The survey discovered that 61% of us brought a cat into our lives because they adapt better to our lifestyle (they don't need to be taken for walks and they use indoor plumbing!) The truth is, they may be low-maintenance, but they are not low-energy...playtime and human interaction is an important part of their day too! 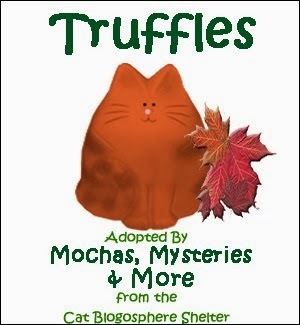 Um...Truffles might like to debunk that one :) Shhh....do not disturb! Let's talk food. 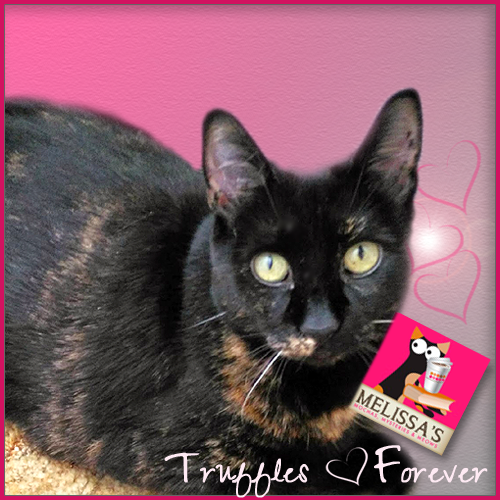 What are the determining factors for you when deciding what to feed your cat? Close to three-quarters of cat owners (72 percent) don't consider their cat's health when selecting food for their pet. Others don't factor their cat's breed (93 percent), weight (65 percent) or age (52 percent) into their decision-making process. "Many cat owners don't consider key health factors when selecting their cat's food, because they aren't sure which factors they should be considering," said Dr. Brent Mayabb, veterinarian and Director of Corporate Affairs at Royal Canin. "Feeding cats a food suited to their age, lifestyle, specific sensitivities and breed contributes to the overall health and well-being of the cat." It appears that to us humans, taste plays a large role in cat food selection. 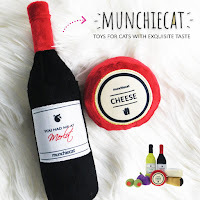 Nearly two in five cat owners believe that cats have a strong sense of taste (38 percent), which is likely why so many consider flavor (42 percent) when it comes to what they feed their cat. (I know I'm guilty of this!) But the truth is, a cat's ability to taste isn't nearly as powerful as a human's, aroma and texture play a bigger role in how cats choose their food. One fact that came out of this survey that really made me chuckle is that 15 percent of owners admit to taste testing their cat's food. 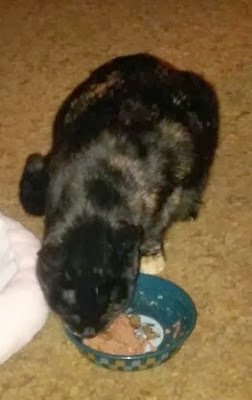 Several years ago after treating myself to a bowl of chocolate ice cream I went to the kitchen to clean up and discovered a brown spot right where the ice cream carton had been (incidentally, also next to an open cat food can.) Not wanting one drop of deliciousness to go to waste, I didn't use a dishcloth on the spot, I dipped my finger into it and licked. You know where I'm going here, right? Yep...it was cat food. That was embarrassing. Now please stop laughing at me and take a look at Royal Canin's The Curious Lives of Cats Revealed infographic. Do any of their findings surprise you? And make sure you read through to the end for a special coupon! Royal Canin is a global leader in Feline Health Nutrition and was founded in 1968 by a veterinarian. They have more than 40 years of experience delivering individualized nutritional solutions for pets. The company offers a variety of diets that cater to a cat's size, breed, age, lifestyle, and health. You can find Royal Canin diets at veterinary offices or pet specialty stores. Royal Canin is offering a coupon right now to save $7 on any of their Feline Health Nutrition formulas. Click here for the coupon. And stay up to date with Royal Canin online via Facebook, Twitter, or Pinterest! Thanks for the link to Royal Canin Coupon. The Mom have been wanting to try that... specially since some of us kitties like me am food sensitive. Purrz frum Doobie Davey.. IF momFOD ate meat, she would have tasted the food. Actually, she eats fish, though, and she hasn't tasted the fish food stuff. I'm going to have to ask her to address this issue. - Crepes. I know cats spend a lot of time hiding, as the Royal Canin poster states. Last night I couldn't find my cat Suzie and my mother said she was around earlier. I finally found her back in a dark corner behind a chair. She must've been there for about four hours! On Extreme Couponing one woman served her guests cat food tuna instead of regular tuna because it was 30 cents cheaper. She was a millionaire, too! 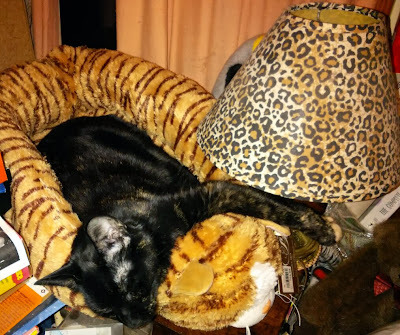 I love Truffles' animal print cat bed and lamp. Chocolate and cat food. What an interesting thought. Just kidding. Maybe everything tastes better with chocolate but not for the kitties. Great post! Very informative and have to take advantage of the coupon! Lucky are those who get the love of their cats! I just found this article very informative. Every cat owner should read this. Thanks for writing such a useful post.